Art, Pots, Transactions, Tea and More! 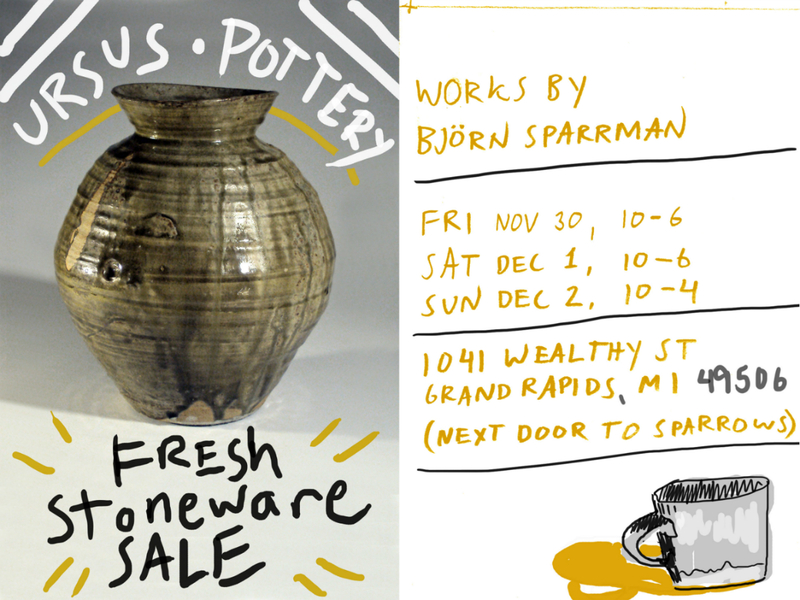 Björn Sparrman (previously here) is having a Fresh Stoneware Sale and open-house at his house which will be open! Items for sale will include: MUGS, BOWLS, LARGER VASES, created by Björn and other humans! For additional images of Björn’s FLAT + NONFLAT work, please visit his tumblr and flickr. RSVP to the Fresh Stoneware Sale facebook event for updates.